The Boys & Girls Club of Oshkosh is governed by a 28-member Board of Directors, which provides strategic direction for the Club. 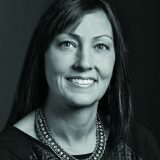 Heather Holly-Pinnow joined the Board of Directors in 2010. She and her husband, Tim, own Pinnow Sheet Metal Company. 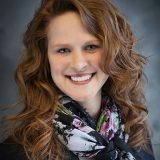 Heather was interested in joining the board because she is an advocate for youth and believes in the mission of improving the lives of children and families in Oshkosh. Heather lends support to special events including WineFeast and Afternoon Tea and is excited to be part of the Boys & Girls Club organization. 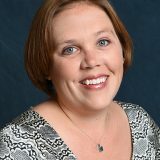 Colleen Merrill became a liaison from the University of Wisconsin Oshkosh to the Board of Directors in 2013 and a regular board member in 2014. She has been a friend of the Club for several years, while serving in several roles at the University. Currently, she is the Director of the Small Business Center and Executive Director of the Alta Resources Center for Entrepreneurship and Innovation, both housed in the College of Business. She seeks opportunities that bring resources from UW Oshkosh to the Club, and works to strengthen existing relationships. Mary Johnson joined the Boys & Girls Club of Oshkosh Board of Directors in October 2015. In the past year, she has assisted with the Girls’ Etiquette & Afternoon Tea event and is active in the Great Futures Start Here Mentoring Program. Mary graduated from the Carlson School of Management at the University of Minnesota with a Bachelor’s degree in Business Administration. She is currently the business manager for several family-owned businesses. "The time I spend at the Club is always the best part of my week. The atmosphere there is based on respect, integrity and endless possibilities. It’s a great place for any kid to be, and I am privileged to be a part of it.” Mary has been married for 31 years to husband, Barry. Together they have two children, Matt and Kelly, and a golden retriever named Reagan. In the summer sunshine, Mary’s hobbies include gardening, golf and competitive tennis. Stephanie Gensler joined the Boys & Girls Club of Oshkosh Board of Directors in September 2014. 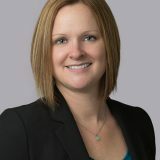 She is a Tax Partner at Baker Tilly LLP and has worked at Baker Tilly since graduating from UW Oshkosh in 2003 with a Bachelor of Business Administration in Accounting/Finance. Stephanie went on to receive her Masters of Science in Taxation in 2006 from UW Milwaukee. Stephanie has been married to her husband, Chad, for 15 years. They have three boys: Noah (12), Evan (10) and Quinn (7). Her family stays busy with basketball, flag football and soccer. They also like to get out on the lake to fish when they can. 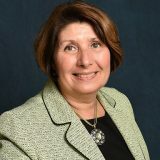 Susan Ackerman joined the Board of Directors in 2005. She is the former owner of First Choice Insurance and is now retired. Susan strongly believes in the Boys & Girls Club’s mission. She joined the board so she could directly impact the lives of children and families. Susan is married to her husband, Al. She has two children, Amanda and Matthew, and two grandchildren. As a native of Amherst, Ohio, Steve enjoys a diverse background that ranges from traveling to Russia as a student ambassador to a pre-sports career as a professional archaeologist. 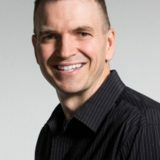 Steve obtained a liberal arts degree from the College of Wooster and then attended Game Face Executive Academy, a leading international sports sales training and placement firm in Portland, Oregon. Steve spent 14 seasons in Boise, Idaho with the Idaho Stampede NBA Development League front office in which he spent 10 of those as President. He was recognized as an Accomplished Under 40 honoree by the Idaho Business Review. He also helped run the Idaho Stampede Community Foundation which received the 2014 Most Outstanding Foundation award by the Association of Fundraising Professionals. He has served on the Epilepsy Foundation of Idaho and the Idaho Non-Profit Center boards. Steve was most recently named the 2017-18 NBA G League Executive of the Year. One of his passions is to positively impact the community in which we work and play by leveraging the power of sports to make our community a better place to live. He is extremely excited to start positively influencing the youth and families of the Boys & Girls Club of Oshkosh. He currently resides Oshkosh, Wisconsin with his wife, Nina and two children, Eliana & Mark. 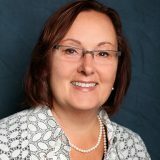 Julie Conrad joined the Club's Board of Directors as an adjunct member in October 2013 and became a regular board member in 2014. Ms. Conrad currently serves as the Director of Curriculum Assessment for the Oshkosh Area School District. 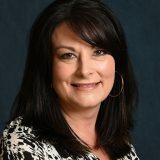 She has provided expertise and leadership in the areas of standards-based learning, grading and record keeping including the implementation of a standards-based grading system at the elementary level and a standards-referenced grading system at the secondary level. Ms. Conrad provides leadership and facilitates processes that allow educators at the classroom, school, and district level to use student data to make instructional, resource and organizational decisions. In addition, she fosters and strengthens partnerships with post-secondary institutions, businesses and community based organizations so that students are College, Career, and Community Ready. Ms. Conrad has 26 years of experience in education as a teacher and an administrator. 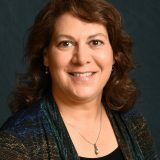 She is actively involved in the Oshkosh community and serves on the board of directors for Junior Achievement Winnebago Region in addition to the Boys & Girls Club of Oshkosh. Glenn Curran is the vice president of Commercial Banking at Associated Bank for Oshkosh and the surrounding area. Glenn is married to Jane and they celebrated their 13-year anniversary in January 2016. They have two boys, 10-year-old Ryan and 7-year-old Jack who both attend Winneconne Elementary School. Currently, Glenn and his family live in the Town of Oshkosh near Butte des Morts. In addition to spending time with friends and family, Glenn’s hobbies include fishing, hunting, sports, outdoor activities and cooking. Glenn has always had an interest and passion for helping others, especially youth, which is why the Boys & Girls Club was a great place for him to get involved. Art Dumke joined the Board of Directors in 2002. He is part owner of several businesses, including Dumke Management and Alliance Development. Art has been involved in special events and has sat on the WineFeast and golf outing committees in previous years. Art was also instrumental in the development of the Club's baseball field. Art has two children. Tim Foust joined the Club’s Board of Directors in 2016 as the Alumni Association's representative. Tim has been a part of the Boys & Girls Club of Oshkosh for the past 37 years. He became a member when he was just 8 years old and when he graduated from the Club when he was 18, he became a member of the Alumni Association and is still actively involved today. Tim graduated from Oshkosh North High School and immediately joined the workforce. He has been a painter for over 25 years and is currently paint superintendent of the Fox Valley area at Omni Glass & Paint, Inc. Tim has lived in Oshkosh his entire life and has a wife, Heather, and two daughters, Courtney (17) and Maggie (3 years) and Jack (18 months). In his spare time, he likes to relax with his family, find ways to get outdoors, and watch the Brewers and the Packers. "I truly feel that the Club is a great place. Without Jamie, Wally and Lori’s guidance back when I was a kid, I don’t know what position I would be in now. I’m excited to join the board. I look forward to continuing to see the Club grow and share my passion for the Club with others." Noah joined the Boys & Girls Club of Oshkosh Board of Directors in December, 2017. Noah is a past board member for the Boys & Girls Club of the Tri-County Area in Berlin, WI. He also previously served on the Finance Committee for the Boys & Girls Club of Oshkosh. 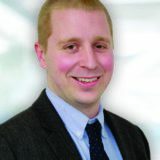 Noah is a Financial Associate at Thrivent Financial in Oshkosh, working for Thrivent since May 2005. 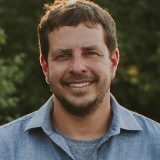 Noah graduated from UW La Crosse in 2004 with a Bachelor of Science degree in Marketing. He received his real estate license from the Arizona School of Real Estate and Business in September of 2004. Noah and his wife, Mandi, reside in Oshkosh with their two children, Finn (3) and Rori (1). His wife is also active in forwarding the Club’s mission, having served as the Tri-County Club’s Board President from 2010-2014. In their spare time, Noah and Mandi enjoy spending time with family, traveling, and attending music and sporting events. Noah obtained his pilot’s license in June of 2014 and enjoys flying when time allows. He enjoys volunteering annually at EAA’s AirVenture Fly-In. 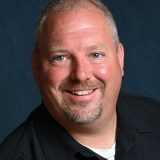 He also serves as the Chair of the Stewardship Committee at Good Shepherd Lutheran Church in Oshkosh and is a board member for the Battle on Bago Foundation in Oshkosh. Ron Jankowski joined the Board of Directors in 2010. Ron grew up in the Madison area, and in 1988 moved to Oshkosh with a national trucking company. In 1997, he started Valley Express, which provides transportation services throughout Wisconsin and the greater Midwest. Ron has a Bachelor degree in Business from the University of Wisconsin-Stout. Ron and his wife, Amy, love raising their three children, Henry, Grace and Tess. Ron is an avid golfer and hunter. The strength that he brings to the board is aligned with why he chose to be on the board—he believes in the mission of the Club and has a passion for helping children. 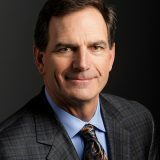 Wilson Jones is the president and CEO of Oshkosh Corporation, a position to which he was appointed in January 2016 after serving in several leadership roles since joining the company in 2005. Throughout his career, Wilson has cultivated a servant-led leadership model with a focus on valuing diverse opinions, fostering an environment of trust, developing others and acting with humility. These efforts to build a culture around putting people first have contributed to the many recognitions Oshkosh Corporation has received. Wilson has a strong passion for giving back to the communities in which Oshkosh Corporation team members live and work. Growing up in poverty, he understands the positive impact non-profit organizations can have on families that are struggling to make ends meet, and on children who need additional guidance and support. This strong conviction for providing basic needs and youth mentoring has fueled Wilson’s desire to serve on the board of the Boys & Girls Club of Oshkosh. Wilson, his wife, Jane, and their children, Jake and Emily, enjoy traveling, boating, attending performing arts events and cheering for the Green Bay Packers. 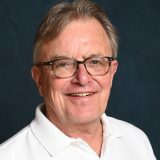 John Krause joined the board in 2008. He received his education from the University of Wisconsin Oshkosh and graduated with a degree in Accounting. He is a partner at Baker Tilly inAppleton. He resides in Oshkosh with his wife, Beckie, and children Gina and Trent. In his spare time, John enjoys playing golf and enjoying the outdoors. John wanted to join the Club’s Board of Directors in order to get more involved in helping kids. Darrin is the Senior Director of Operations with Festival Foods. Darrin has been with Festival for the past 14 years. Prior to Darrin’s Senior Operations role, Darrin lead 8 different stores and worked with teams and communities throughout Central Wisconsin. Aside from Festival, Darrin is in partnership with many investment and real-estate initiatives throughout the Fox Valley. Along with Darrin’s professional career, he coached High School Football. 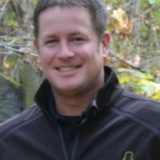 At 21 years old, Darrin was the youngest Head Varsity Coach in the State and served in that capacity for 16 years at two different area high schools (2004 named Green Bay Packers High School Coach of the Week). Previous to Darrin’s retail career and coaching, Darrin served our country and is a veteran of the United States Marine Corps. Darrin attended Ripon College for his BA and received his MBA from UW Oshkosh. Darrin’s wife, Erin, is a RN at Children’s Hospital of Wisconsin Fox Valley. Darrin and Erin have 5 children, Jackson (12), Julian (10), Ruby (7), Jesse (4), and Liberty (Newborn). In Darrin’s free time, he enjoys family activities, traveling, and building projects to enhance and improve our communities. Mark Lasky is a third-generation supporter of the Boys & Girls Club of Oshkosh and a past board president. He is currently the CEO and ownership partner of Sadoff Iron & Metal Company. Mark first joined the board in 2006 because he believed in the mission and vision of the Boys & Girls Club. He received a Communication degree from the University of Miami, where he double majored in public relations and psychology. Mark and his wife, Kristen, have three children, Drew, Beau and Maeve. 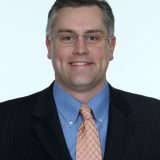 Jeff Lindemann joined the Board of Directors in late 2010. Currently, he is the president of Lee Beverage of Wisconsin LLC. Jeff graduated from the University of Wisconsin–Oshkosh with a Bachelors’s degree in Speech Communication. Jeff joined the board because he was impressed with the Club and all the services it provides to the community. Jeff is on the Club’s Docktoberfest committee and has connected new friends to the Boys & Girls Club. Audra Mead joined the Boys & Girls Club Board of Directors in early 2011. Audra serves on the Club's HR Committee and has spoken on HR-related topics at staff and TPA meetings. Audra is the Director of Human Resources at Fox World Travel in Oshkosh. Grant joined the Boys & Girls Club of Oshkosh Board of Directors in November, 2018. 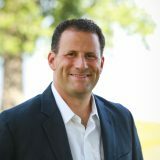 Grant was born and raised in Oshkosh and attended college at UW-Oshkosh where he graduated with a Bachelor of Business Administration in Finance. Upon graduation, Grant went to work in his family business of real estate brokerage and development. 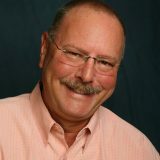 Currently, he is part owner in several real estate development companies as well First Weber Realtors in Oshkosh. Grant resides in Oshkosh with his wife Kelly and their three children Taylor, Chace and Harper. 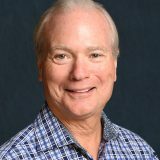 Steve joined our board in November, 2017. He is currently the Vice President of Fox Valley Metrology, a calibration lab headquartered in Oshkosh, WI with four branches across the Midwest. 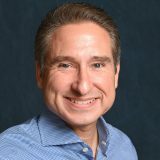 Steve is responsible for overseeing all sales and marketing efforts of the organization. 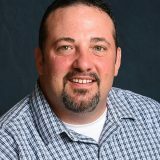 Prior to joining FVM, he was employed as a Sales Engineer at Johnson Controls where he oversaw many large projects, including the South End Zone Project at Lambeau Field. Steve is a 2012 graduate from Milwaukee School of Engineering with a Bachelor of Science degree in Architectural Engineering. 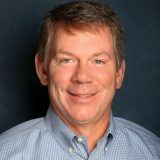 Steve serves on the advisory committee of the Wisconsin Family Business Forum, the steering committee for Propel Oshkosh, the advisory council of NWTC’s Machining Program, and is the 2017 adjunct board representative through Leadership Oshkosh at the Oshkosh Area Community Foundation. Additionally, he is a coach for the Oshkosh Flyers Football Club. Outside of work, Steve was recently married to his wife Katelin. He spends most of his free time in the outdoors, hunting, fishing, and playing sports. Steve very much looks forward to the opportunity of being a part of such a highly successful team at the Club that is making a major impact in the lives of children in our community. He believes very strongly that this is extremely valuable to shaping our future and would love to help in any way possible. 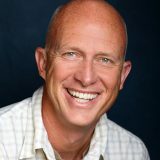 Jeff Trembly joined the board in late 2008. 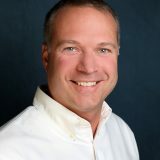 He is co-owner and vice-president of Oshkosh Coil Spring, Inc. Jeff attended the University of Wisconsin Oshkosh and graduated with a degree in Finance and Accounting. He and his wife, Ann, have two children, Zachary and Jessica. In Jeff’s spare time, he enjoys traveling, reading and sports. Jeff wanted to join the board to make a difference in the lives of troubled or disadvantaged children. 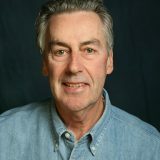 Pat Weston joined the Board of Directors in 2006. He is currently the Director of Operations for Coenen Mechanical in Appleton. Pat has served on the executive committee, been an annual campaign chair and has served on special event committees. Pat enjoys making new friends for the Club and spreading awareness about the Club mission. He and his wife, Jennifer, have three children. Lorie Bunke joined the Board of Directors in 1982. She made a career in the banking industry and worked for many years as a loan officer at Anchor Bank. Lorie is now retired and is a part-time accountant for both Jericho Road Ministries and TR Karrels & Associates, Architects & Engineers. She is also active with her church, serving as chair of the Endowment Committee and volunteering in the finance office. In her spare time, Lorie enjoys golf and spending time with her family, especially her grandchildren. Dave Elbing joined the board in 1988. He received a Marketing degree from the University of Wisconsin Oshkosh. 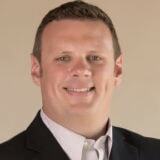 Dave, who currently works in real estate development, previously was the owner of LSI. Dave believes in the Boys & Girls Club mission and wants to make a difference in the lives of others. He is married to his wife, Sue, and they have two children, Kara and PJ. Doug Hyde has been on the board for more than 17 years. Doug is a graduate of Coe College in Iowa, and he is the former president and CEO of OshKosh B' Gosh, a third-generation family-owned company. The company was later sold to Carter's. Doug was instrumental and a catalyst in launching the Club's Opening Doors campaign to build a new Teen Center and administrative offices in 2007. Doug's father, Charles Hyde, was also very passionate about the mission of the Club and seeing youth succeed. Doug and his wife, Chrys, are enjoying retirement. They have two adult children. 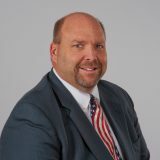 Kurt Koeppler has been on the Board of Directors since 1999. 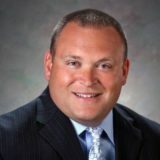 Kurt attended the University of Wisconsin Oshkosh and has numerous business ventures including City Center Management, Koeppler Management. Kurt has a great passion for helping youth succeed, especially those who need it the most. Kurt and his wife, Judie, have two children. Ron Lampe is a retired attorney and was instrumental in the development of the first Boys Club and has been on the Board of Directors since 1970. He has been involved in every phase of the Club since its inception. Ron also has been involved in many special event committees throughout the years as well. Ron and his wife, Scherie, have two children. Bill Radford has served on the Board of Directors since 1985. He is the former president and owner of the Radford Company. Bill was instrumental in campaigning to build our current facilities, the Radford Center, and he was also a catalyst in establishing a BGCO endowment fund. Bill is passionate about helping youth succeed and helping children with their basic needs. 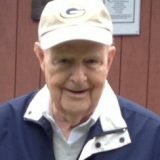 He and his wife, Patty, enjoy spending time with their many children, grandchildren and great-grandchildren. Bill and his wife spend their time living between Appleton, Wisconsin, and Florida.